Georgia Stitt, Vocal coach on "You're the One That I Want", shows her true colors as a songwriter talking about her new CD (and we play songs from the CD!). Also we profile the shows "American Fiesta," the musical "Time Being," and Broadway Idol winner Jaclyn Huberman's concert with exclusive in-studio performances. Plus, On the Positive Side and more. 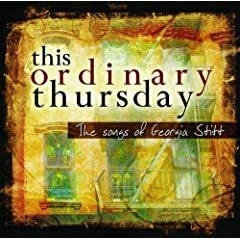 This week we talk with Georgia Stitt who just released her first solo CD, “This Ordinary Thursday,” on PS Classics. She discusses the making of the CD and her role as vocal coach on “Grease: You’re the One That I Want.” Plus, to top it off, we get to hear two songs from the CD. We talk to Steven Tomlinson whose one-man show, “American Fiesta” is currently playing at the Vineyard Theatre. According to the press notes: When playwright Steven Tomlinson, an obsessive collector of vintage “Fiesta” ware, sets off in search of the perfect specimens, he finds a surprising series of connections between residents of “red” and “blue” states, as well as some startling divides within his own family when he announces his intention to marry his partner. Mark Brokaw (How I Learned to Drive and The Dying Gaul at The Vineyard) directs this powerful and funny exploration of America and where it is headed. An early version of this solo comedy-drama received its first production in Austin, Texas and won the American Theatre Critics Association “Osborn Award” for Best New Play by an up-and-coming playwright. We’ve added a new feature to our website: blogs! So, be sure to go check them out at www.broadwaybullet.com. So far topics cover include thoughts on blogging, “The Pirate Queen,” listening to showtunes, and a report from the Dramatists Guild Fund Gala. We have winners for our “Martin Short: Fame Becomes Me” OBC recording contest! Victor S. Miller from Princeton Junction, NJ – Jason D. Butler of New York, Frank Terranella of Clifton, NJ – Brian Mahoney of Sherman Oaks, CA and David Robinson of NY! If you didn’t win but still want to buy the CD click here . If you would like “Talk Radio” tickets click here. We profile the new musical “Time Being” that is being presented by the Fildwith Ensemble Theatre, and speak with authors and creators Erika Stadtlander and Ion Ionesceu. Plus, actors Catia Ojeda and Marc Ginsburg perform “This is the Deal,” and actor Lauren Orlando performs “I Spend My Days.” Both songs were performed exclusively for Broadway Bullet in-studio, so be sure to listen! and to understand the purposeful significance of the human attachments they form there. “Time Being” is playing through May 13th. For more info and tickets click here. 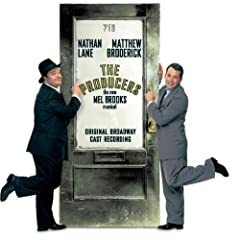 This week Marty discusses the closing of “The Producers.” The Mel Brook’s musical closed on Sunday after playing 2,502 performances. If you missed it, or if you miss it, you can buy the movie starring Nathan Lane and Matthew Broderick on Amazon or you can buy the original movie . Also, “Young Frankenstein” will be coming to Broadway soon! We talk to Broadway Idol winner (sponsored by the New York Musical Theatre Festival) Jaclyn Huberman about her one woman show at Ars Nova. Jaclyn gives us a taste of her show by performing “I Can Do Better Than That” from “The Last 5 Years” but Jason Robert Brown. To get tickets to Jaclyn’s show click here.